The semi-official Fars news agency reported the launch and released an image showing a green submarine on the surface of the water launching an orange missile. It said other submarines have the same capability. It did not detail the missile's range. Iran frequently touts its military arsenal, much of which is manufactured locally because of international sanctions. The Strait of Hormuz, at the mouth of the Persian Gulf, is a crucial bottleneck for global energy supplies, with about a third of all oil traded by sea passing through it. Tensions have risen since the U.S. withdrew from Iran's 2015 nuclear agreement with world powers last year and restored wide-ranging sanctions. 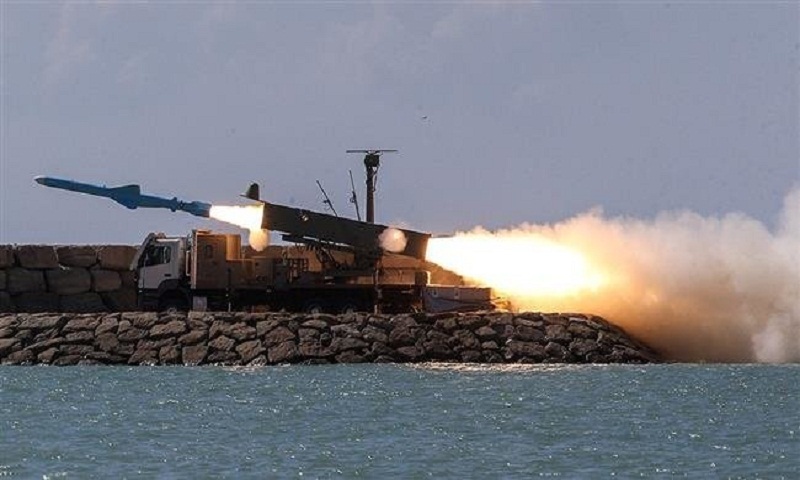 Submarines, warships, helicopters and surveillance planes participated in the three-day drill, dubbed "Velayat-97," which concludes later Sunday. On Saturday, Iran launched surface-to-surface missiles.